I'm so grateful that it's finally springtime! Here in North Carolina, we have to delay our spring cleaning a little bit until after the onslaught of pollen has passed. Now that most of the pollen is gone, we can open the windows, let in the fresh air, and get down to some serious cleaning. But as much as I love letting in the fresh breezes, I've discovered that my cleaning sprees only make things seem fresh for a little while. Very soon things are back to looking like they need to be "spring-cleaned" all over again. Determined to do things differently this year, I thought long and hard about what really needed to happen in my house. My husband and I sat down and talked honestly about it. That was a hard conversation for me, for I tend to feel ashamed and guilty when the state of my house isn't what I think it should be. 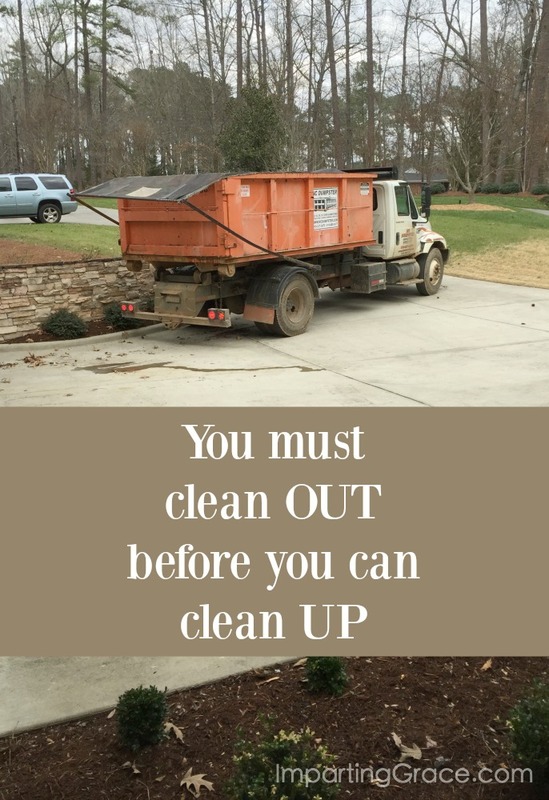 But with God's help and my husband's input I realized that our home was never going to look and feel the way I wanted unless I was willing to take the critical step of getting rid of stuff. There was no way I could clean up our home until I had cleaned out our home. When faced with a daunting task, my tendency is to get overwhelmed, which leads to paralysis. Sometimes I can't see what I should do first, so I don't do anything at all. The solution I found this time wasn't perfect, but it worked for me: I rented a dumpster. There was no way I was going to be able to de-clutter our home without some way to dispose of the things that were no longer useful. Useful items I could donate to thrift stores, which of course I did. But there were so many items poked here and there that were simply of no value whatsoever. Like it or not, those items were trash. Always before when I attempted to clean out clutter, I asked myself this question: "What if I need this?" But all too easily that question led to my keeping things just in case I might need them. This time, I asked a different question. Instead of "What if I need this?" I asked myself, "What will I do if I need this?" Asking this question forced me to look at things more honestly. I realized that many things I might need in the future I could simply borrow or rent if the need arose. Or I could--surprise--do without them entirely! Then I was free to keep the things I need and the things I value most--and let go of the rest. The unexpected blessing of this exercise was realizing anew that I can trust God to meet my needs. Without admitting or even realizing it, I had been putting my faith in holding onto possessions. My old "What if I need this?" question enabled me to continue thinking that I would have to meet my own needs. It enabled me to operate under the delusion that I can and must meet my own needs. The truth, of course, is that God provides what we need. Every good and perfect gift is from above, after all. And one of the amazing ways that God provides is by giving us one another--family and friends and neighbors who help one another. So what if I do need something? One way or another, God will provide. 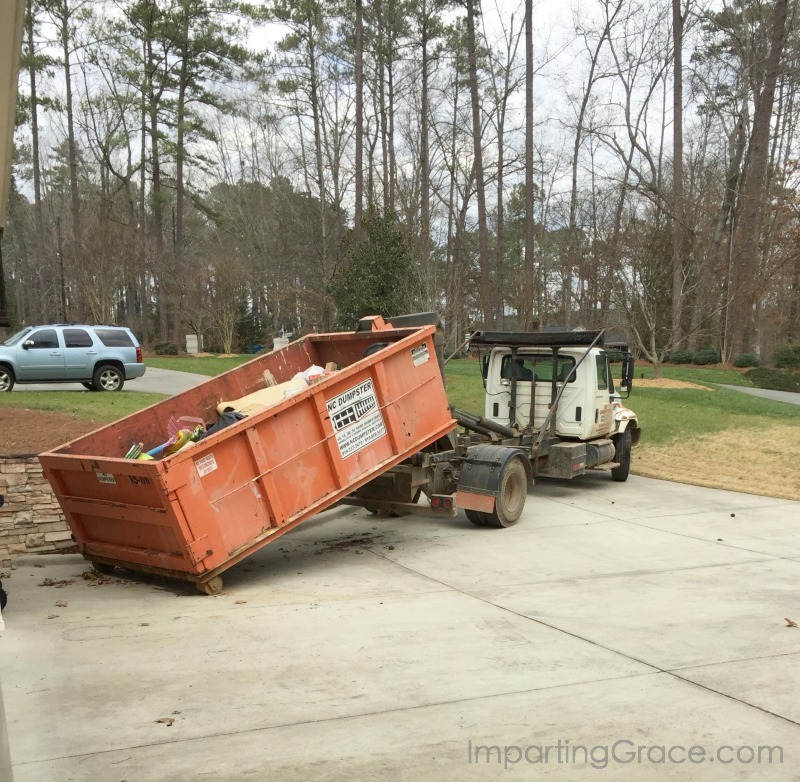 My useless clutter was hauled away, never to be seen again. Now to open the windows--of my house and of my soul--and let the spring breezes blow! How about you? Are you doing some spring cleaning? Do you need to clean out before you can clean up? Congratulations on your accomplishment! Decluttering makes you feel wonderful doesn't it? Frees the mind and takes that proverbial monkey off your back. God will provide, as you say. He always does. Job well done, Richella! I think that is a great idea! In that time allotment, you can really decide what goes and what stays. I get a little paralyzed, too, when it comes to getting rid of something. My husband is a keeper, but I like to load things up and get them out of here! But I always wonder if I should or shouldn't keep something,too. Anyway, I think it was a stroke of genious to rent that! 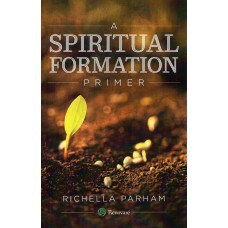 Richella, I needed to read this today! I have a hard time letting go, thinking I will need it one day. As I am getting older, I see the necessity of a simpler lifestyle! I went through the same thing as I retired, my two kids moved out, and my step dad died all about the same time. I had a long last year of teaching taking care of my parents through the cancer ordeal, planned my daughter's wedding, and then had 31 years worth of teaching supplies to go through. I unfortunately brought most of that home. I was so overwhelmed at the end of that school year. I could have used that dumpster. It took almost a solid year of decluttering. I read things, I organized clutter and then would finally get rid of more. It was a process, but I finally plowed through it all and feel better on the other side for it. I have spent the second year retired enjoying less. I am very slow to buy something new, because I know I still have plenty that I could let go of. You have had a busy last couple of years too. It can wear us out physically, but mentally too!!! Purge---you will feel better on the other side. What a brave task. Letting stuff go is hard for me but I have pushed myself to do it and know that it really does make you feel liberated once its all gone. Here's to a clean and organized new beginning! I ask myself the same type of question, Can I get another one for a dollar or two, or borrow one? Great job! Cleaning out like this is never easy, so congratulations!! !